To be seen in "Free State of Jones" with Matthew McConaughey. From The Gilded Leaf: Fine Bookbinding & Restoration in Maryville, Tennessee: After 20 years in the trade (since 1994) and the creation of countless period bindings from many centuries and styles, we're trying our hand at the reenactor's market. We've made a small batch of these Soldier's Pocket Diaries, facsimiles of a common accoutrement for the Civil War soldier, both Union and Confederate. Many included an inner pocket. 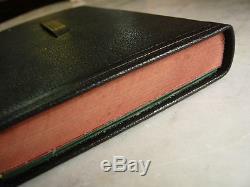 The unique flap closure was found only on these diaries and the occasional pocket Bible, and represents a unique 19th century binding style. Our reproductions run 176 pages and include all the printed material above, a space for every day of the year, and an extra 16 page blank section at the rear. They measure 6 by 3 1/4 and fit neatly in a pack or tunic pocket. A Soldier's Evening Meditation..... Counsel to Soldiers on health, wounds, care of feet, etc. Daily Diary 3 days per page, headed as January 1, January 2, January 3, etc. Memoranda (6 pages) Blank leaves at rear. Are these Diaries on the side of the Union or against the War of Northern Aggression? Though now being made in East Tennessee (which was a messy mix of both northern and southern sympathizers), these reproductions are very slightly more Union in their contents. To wit: The listed postal rates are Northern, the South having started their own service in 1861. To be fair, there was some crossover of printed material. The included Penalties for Usury, for example, lists interest laws from Alabama to Wisconsin. If a hue and cry is raised over this, future editions may change, but at this point, we are not offering C. Undated We have not seen an original undated version of this type of journal. Though both our diary versions reproduce the original format offering space for January 1, January 2, etc. We dont yet know whether you, the reenactor, would rather have a generic version or a year specific (and thus campaign specific) version, so were offering both. 29th it was a leap year. The undated version omits the above, including instead a table of contents and space for important addresses. Please specify which youd like when you order. 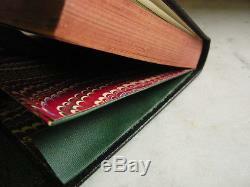 And let us know if there is strong interest in diaries for other years. Construction Aside from a computer and electric lights, a 19th century binder could walk into our shop and feel right at home. The process of folding, sewing, making the covers, etc. Are accomplished with eight fingers, two thumbs, and very old tools. The one change weve purposely made is to the method of sewing. Even back then, tradesmen cut corners to increase profits, and, for something you hope to carry in your pack or pocket for years, that seemed like a bad idea. Originally sewn on very light cords laid into notches cut in the textblock, we opted for the much stronger (but slightly later) method of sewing on strips of cloth called tapes. The paper is a 60# cream white, and the vellum finish is an excellent match for the machine-made paper of the day. 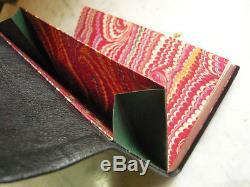 The edges are sprinkled and colored, and hand-marbled paper is used for the endsheets and the inner pocket, which was used to hold receipts, pay stubs, etc. 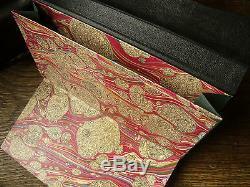 We're using several styles of hand marbled paper, depending on availability. They are bound in vegetable-tanned morocco leather and, like the originals, are available in several colors, though black and then dark brown were most common. They're finished with a simple border, tooled in blind as the originals. 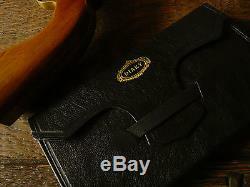 Our Opinion and Some Pertinent Testimonials: These are the the finest reproduction pocket diaries available anywhere. Though we've not yet fully tested them, they'll transport well in any standard time machine (Models XB2000 or newer) and will pass the most rigorous inspection, whether by expert witnesses from the 1860's or by our own TTB (Time Transit Bureau). From a less fictional purchaser. It's a bit over the top, but we're okay with that: The pocket diary you made for me is absolutely stunning. The detail is to the T of what was made in 1865 and your attention to detail is amazing. It is such a wonderful item. No one and I mean No one except for you makes these pocket diaries. In the past I have searched high and low and found nothing. Please tell us which color youd like. 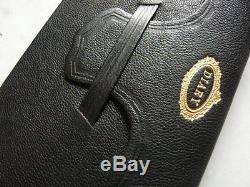 Customized: Your initials can be substituted for "Diary" at no charge. We can also add names, regiments, etc. We also have a small handful of prototypes with less printed material and, instead of space for each day, blank pages throughout. Additional Items for Reenactors : Under the online name VintageBookbinding, we are also offering a Ladies' Domestic Journal (circa 1860), a replica of Codex A & B from the Lewis & Clark expedition, and additional journals for the Renaissance Fair enthusiast under our "Knights, Dragons, and Elves" line. 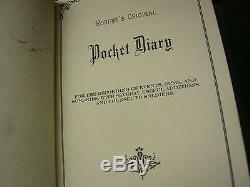 The item "Civil War Soldier's Pocket Diary or Journal" is in sale since Monday, January 04, 2016. 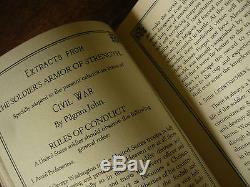 This item is in the category "Collectibles\Militaria\Civil War (1861-65)\Reenactment & Reproductions\Other Civil War Reproductions". The seller is "noshinchan" and is located in Maryville, Tennessee. This item can be shipped worldwide.